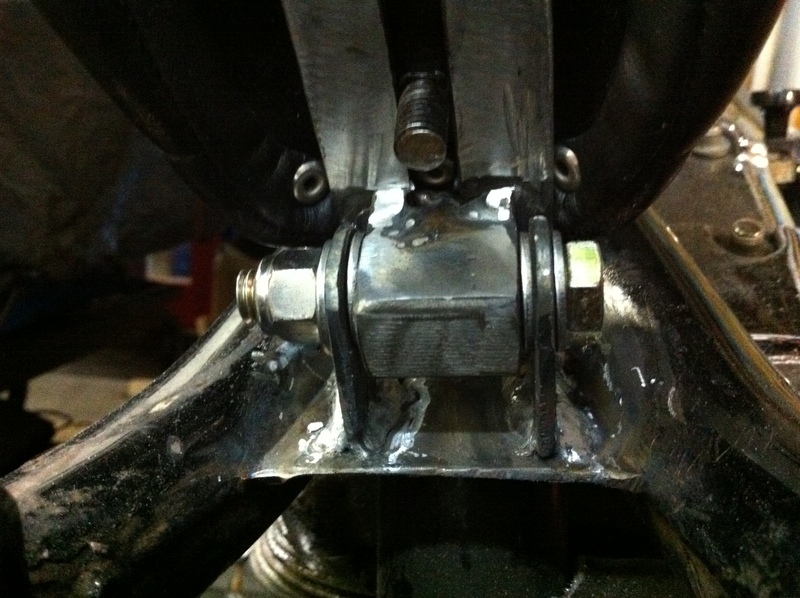 I had to gather a bolt, washers and nylon lock nut and assemble and test it before welding. Worked pretty well, but the tabs needed a little shaping, and then it was perfect (for me perfect, NOT perfect). I need to relocate a few electronics under the seat, so using the hinge for access and a place to secure it to, is a huge advantage. 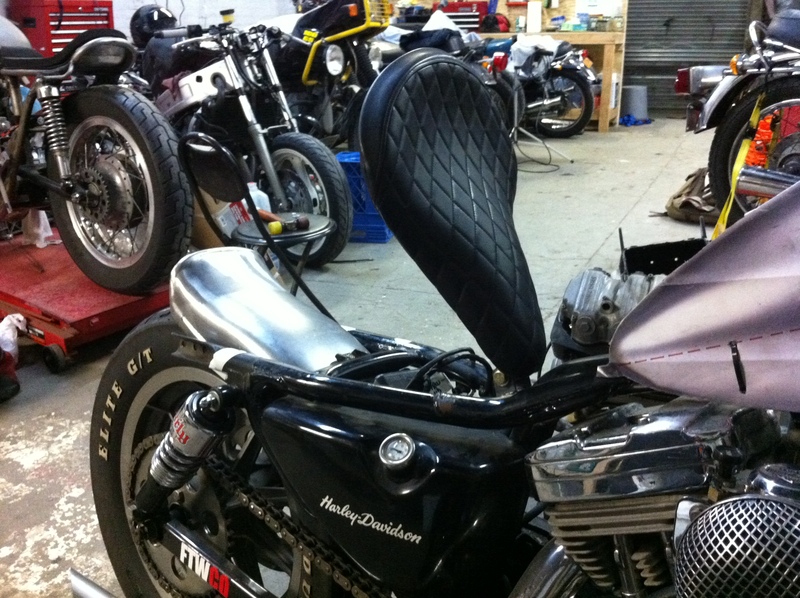 Brandon has plenty of mods in mind for the future of this Harley Sportster, moving it away from the stock look, to a more streamlined Brat Style Bike. The term Brat Bike has become somewhat generic, (like most build genres after they become popular), but Brandon is picking and choosing a few stylistic changes to get this bike on track. Next → Next post: Deus do it again…Harley Style!